His pedigree is one of a kind. 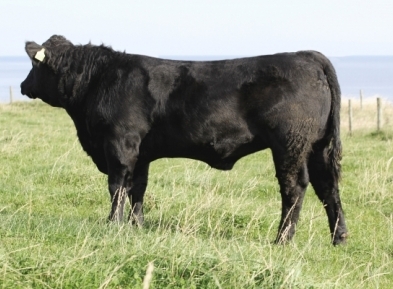 His dam is a tremendous Blackmark daughter and was the Devon 2010 female champion. The "Tibbie" family is one of the best and consistent families we have, Troy proves this being double bred to the great Nightingale Tibbie 275. 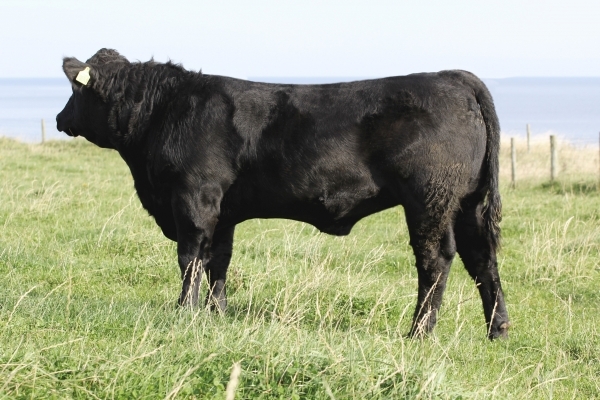 Great shape, depth of loin and fantastic locomotion are but a few traits this bull expresses extremely well.